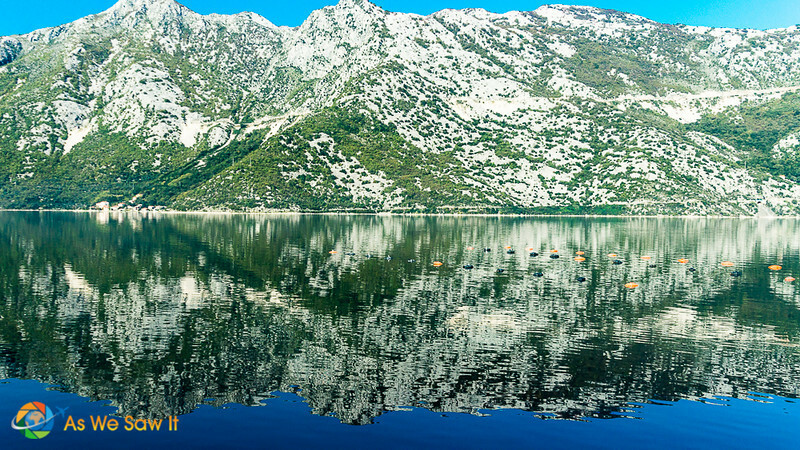 Partially hidden from the wide, blue Adriatic by towering limestone cliffs, Kotor, Montenegro is a treat for the eyes. Actually, it's one of the most beautiful places on the Mediterranean, and the best way to approach its shores is through its ancient bay. Try to spend a day there. Or more; it's worth it. If you're approaching from the Adriatic Sea, it feels almost as though you are cruising through a Mediterranean fjord. TIP: If you are lucky enough to arrive by cruise ship, wake up early so you can enjoy the remarkable scenery on the way in. It will take at least an hour for the ship to navigate there from the open Adriatic. If you like to shoot landscapes, be sure to keep your camera handy as well. 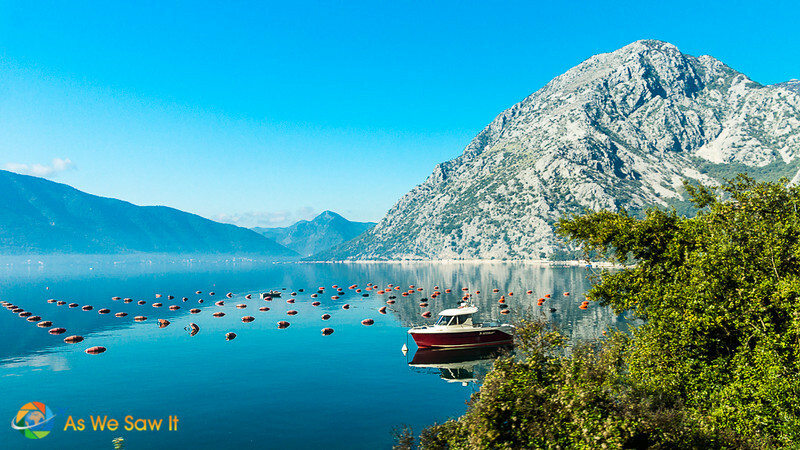 We think that the Bay of Kotor is one of the most beautiful places in Europe. In some ways, we enjoyed it more than our previous cruise stop in Dubrovnik. 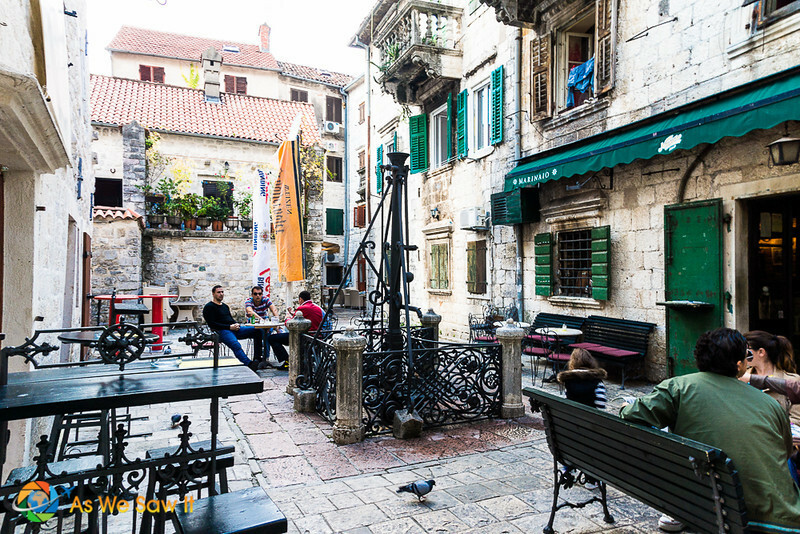 We quickly realized that Kotor is no “little Dubrovnik” by any stretch of the imagination. 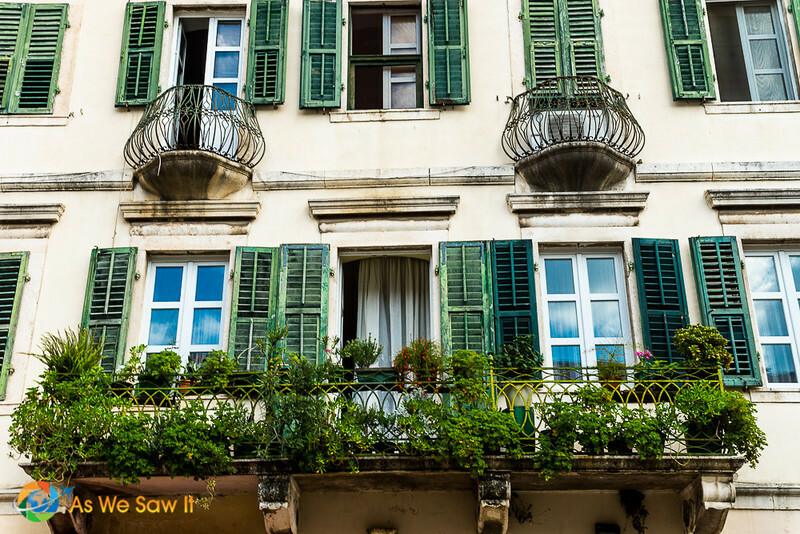 Read more: One Day in Dubrovnik: How Much Can You Really See? Once again, our cruise itinerary only allowed a day in Kotor, but we didn't feel bad. 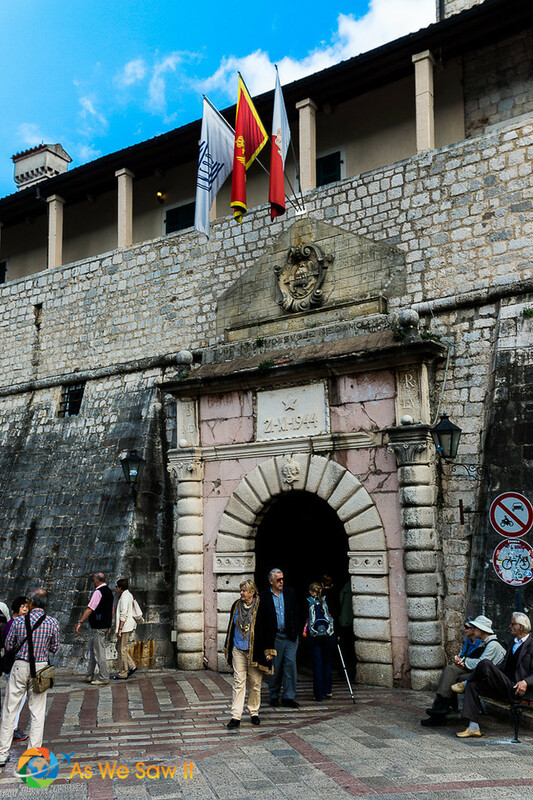 Even Dubrovnik visitors include a day trip to Kotor as part of their holiday. Kotor feels more lived-in and authentic, and it also lacks Dubrovnik's prettified-for-tourists vibe. Too, thanks to the picturesque Balkan mountains and mirrorlike waters of Boka Kotorska—what the locals call the Bay of Kotor—this destination has a special appeal Dubrovnik will never have: raw, natural beauty. Whether you're visiting Kotor as part of a cruise or arriving by land, it won't take long to see why UNESCO designated Kotor's medieval city and picturesque landscape a World Heritage Site. The town and its surroundings are stunning. I can't find the words to adequately describe a place with this much beauty. I don't know who said it, but if “a picture is worth a thousand words,” this article is our essay. 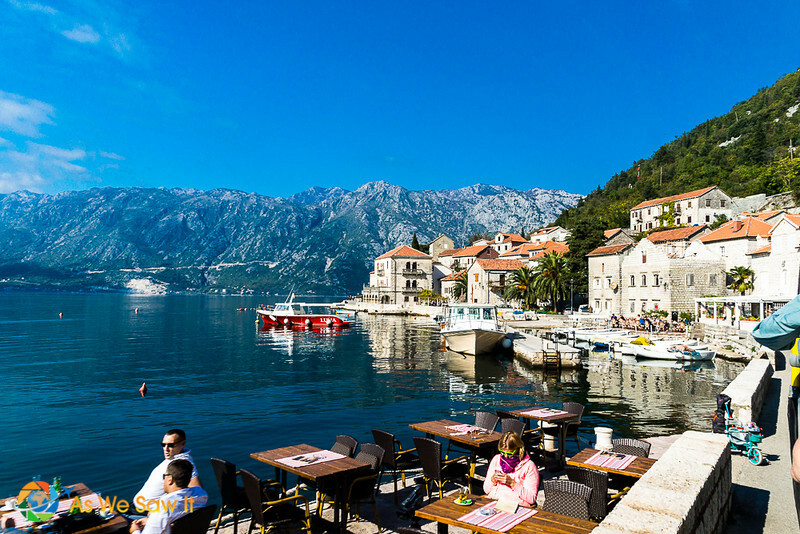 Tip: If you hate those crowded cruise ship excursions as much as we do, Get Your Guide offers a 6-hour private guided tour of Perast, Budva, and Kotor. Port pickup and drop-off. 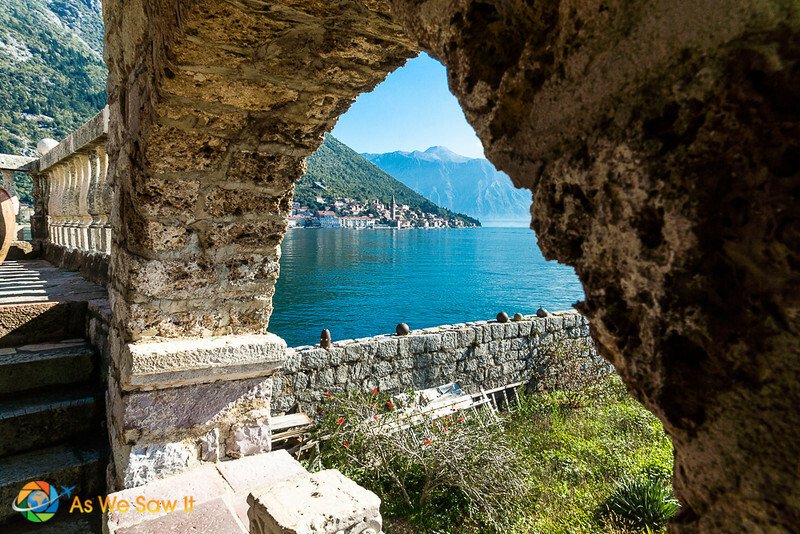 The most stunning view of Kotor is from St John’s Fortress, up on the hillside. Or at least, that's what we heard from fellow passengers who did the hike. To be honest, we didn't have the stamina or desire to endure the steep, 1350-step climb to the top, so we chose to see the fortress from Old Town Kotor, down at water level. If you're fit, the hike takes around 45 minutes. If you’re unfit, there are plenty of places to stop and rest as you go up, but it will take a lot longer. You'll have to determine if that's how you want to spend a large chunk of your one day in Kotor. 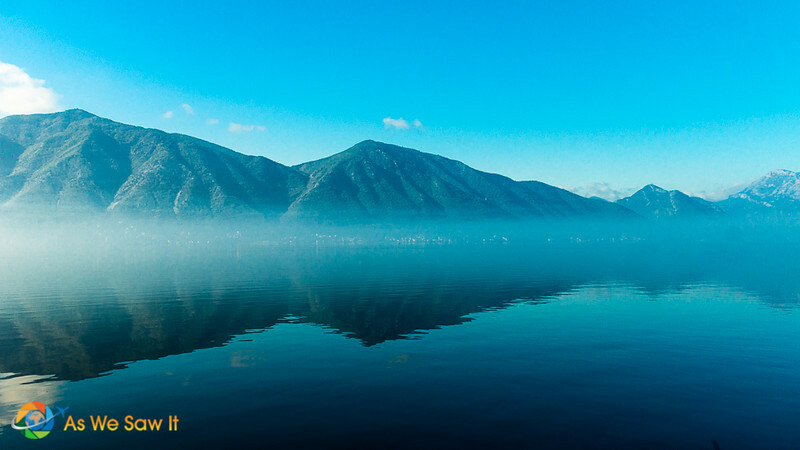 Kotor Bay is so beautiful that you can lose track of time just enjoying the views. No wonder so many people spend a whole day on the water. 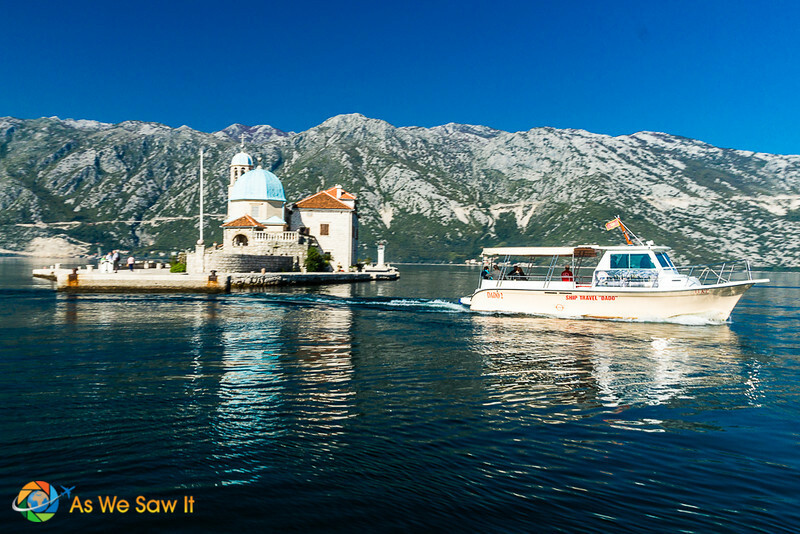 We caught a cheap-and-cheerful local boat from Perast (details below) to save time to see other things. However, many companies offer scenic boat tours and cruises on Kotor Bay. 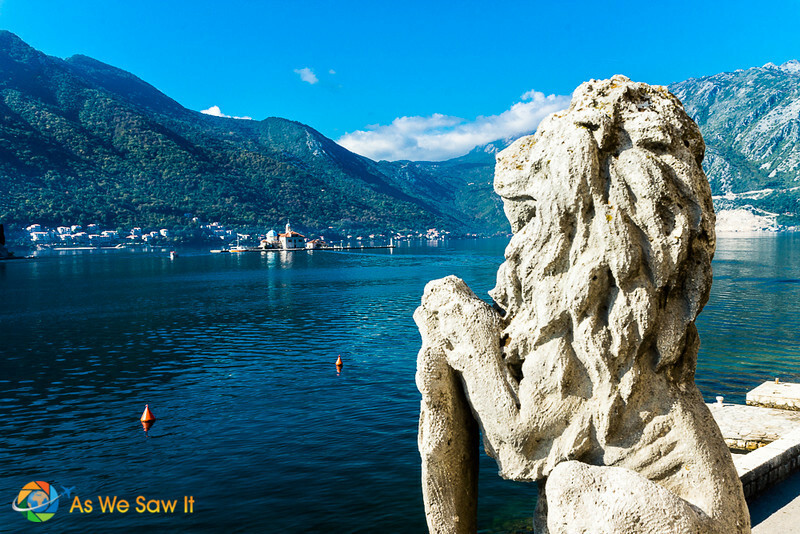 The beauty of a Kotor Bay cruise is that you’ll get a completely different view of the coast. You’ll see fishing villages tucked into pockets along the coastline and see stone houses hiding among mountain greenery. Some tours will even take you to caves where the army used to hide submarines! It's easy to book a Kotor cruise at the last minute; the tourist office near the city gate has a list of providers. Cruises can run anywhere from 2 to 12 hours in length. Note that if you have specific sights you want to see or have limited time, it would probably be better to book the tour you want before you arrive. That way, you would be guaranteed a seat. Here's a place to start your research. 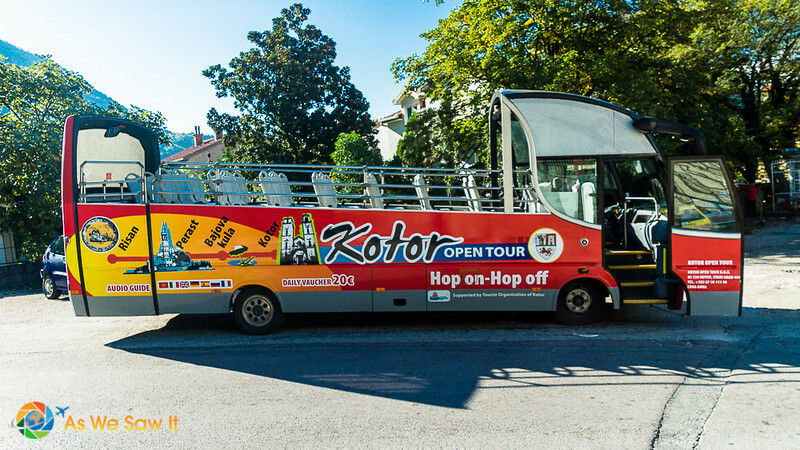 Kotor has an open top hop-on/hop-off tour bus that leaves every 30 minutes from in front of the city gate. It doesn't drive through the walled city, but it does drive all the way down the coastal road, with stops at Risan, Perast, Bajova Kula and Kotor. It was worth the price of the bus ticket (€20 for adults/€10 14 and under). You get a narrated tour and you can use the buses as much as you like in one day. 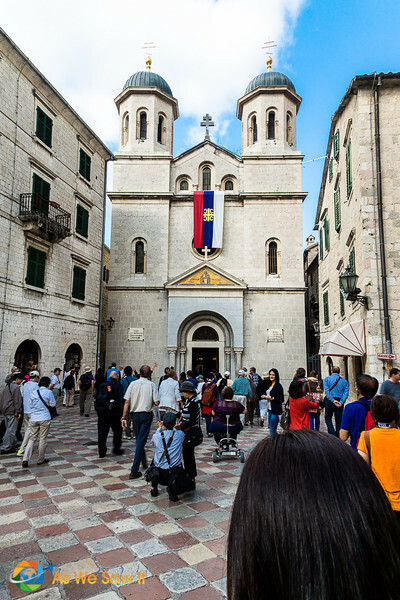 Plus, according to this site, it includes admission to the Roman Mosaics in Risan, entrance to the town museum in Perast, and a 45-minute walking tour of Kotor. It's a good deal. When we were there, we had to pay for our own admission to both museums. Get your cameras ready for some amazing views! If you get to Kotor early enough, the mist and early morning light will be perfect for photography. Don't waste any time; jump on the first bus you can and ride to the far end. Not only will you get some fabulous shots, you'll also hear the guide's narration about the area and its history. TIP: You'll get the best views of Kotor Bay if you sit on the left side of the bus when departing Kotor and on the right side when departing Risan. The early morning mist that had welcomed us into the bay still hovered over the water. We passed a lot of fish farms along the way. 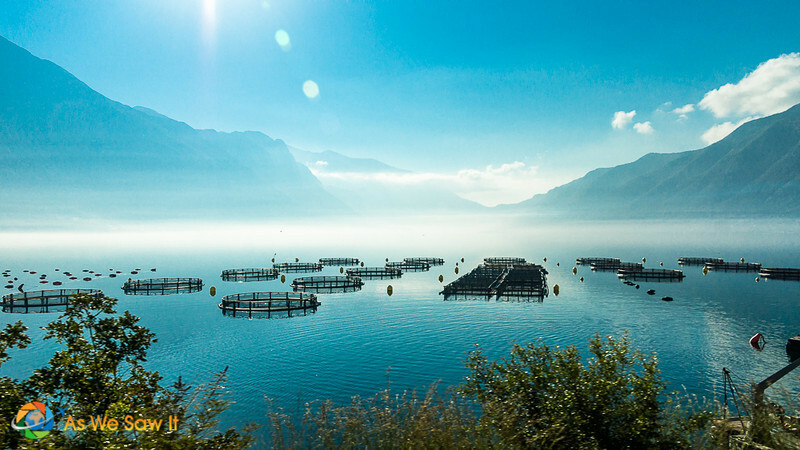 Aquaculture is a major industry, which is why so many of our photos have floats in them. Mountains reflected in the smooth water of the bay. There are more fish farm floats in the foreground. The tiny hamlet of Risan is a scheduled 20-25 minute stop, not a hop-off spot. Risan has a small excavation site that displays some nice Roman mosaics. As fans of ancient history and unknown sites, there was no way we would miss this! We followed the rest of the passengers inside and bought a ticket. Inside, we were greeted by a young, knowledgeable guide who explained that our meager admission fees cover upkeep and further work. 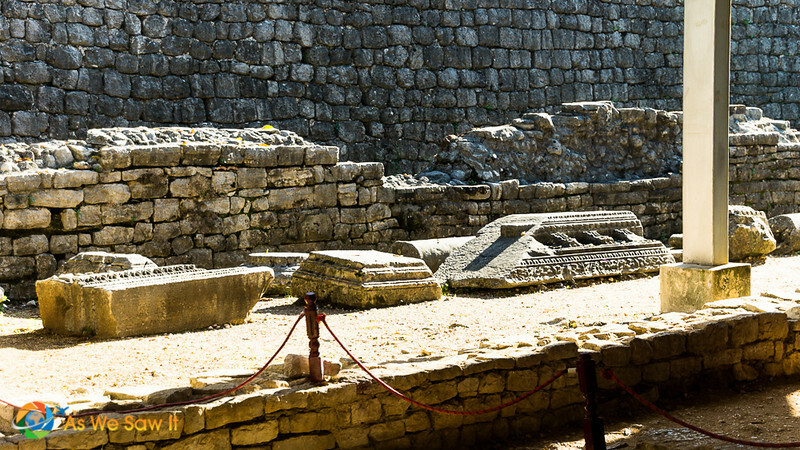 (As a new country, Montenegro doesn't have the budget to support excavations like this.) She took us through the site to show us the remains of a Roman house dating from the 2nd century A.D. and explained about how they had lived and what we were looking at. 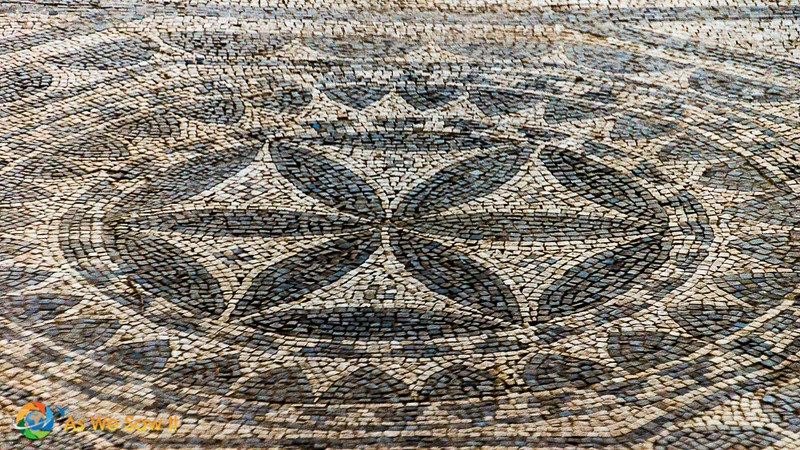 Not much remains of the building's walls, but there are some intricate and fairly well-preserved mosaic floors. Unlike the way things are done elsewhere, it was easy to get close enough to really see the details and take pictures. The bus stops at Perast, so we hopped off to look around. We were curious to see what a coastal Montenegrin town might be like. Aside from a few guest houses and restaurants, there didn't seem to be a whole lot to the sleepy waterfront. Perast is pedestrian-only and it only takes about ten minutes to walk from one end to the other. 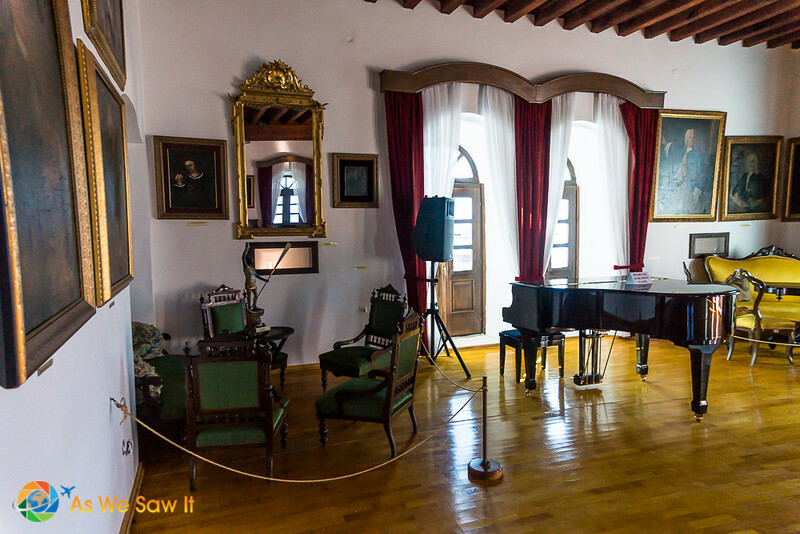 Walking through the town, we found the small Perast Museum, housed in an old palazzo that dates from the Venetian empire. The previous owner had been a Montenegrin sea captain, obviously, because the inside was full of wonderful old furniture as well as detailed ship models. It also contained exceptional paintings and old weapons that gave an idea of how the well-to-do lived its heyday. I thought the highlight was the second floor balcony. It offers a remarkable view of Kotor Bay and its two islands. TIP: After our day in Kotor, we learned that we'd missed a ton of stuff in Perast: 16 Baroque palaces, 17 Catholic churches, several important Orthodox structures, and a series of nine defensive towers. We probably could have found enough to do to fill a second day. 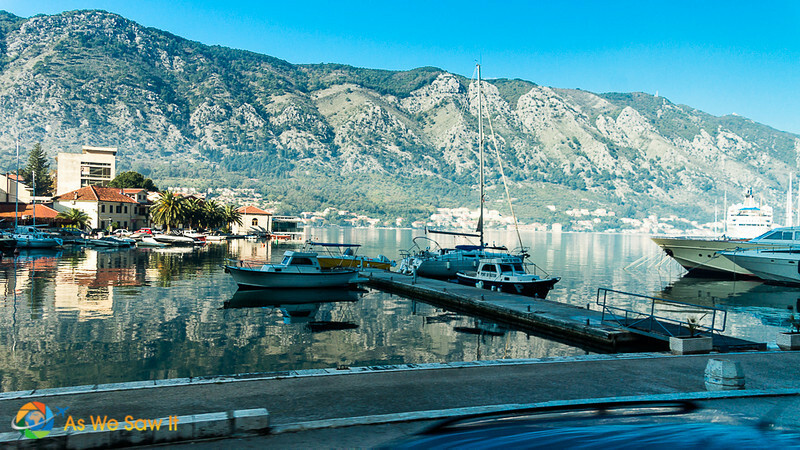 If you do hop off in Perast, it's worth catching a boat out to the islands. The first of these islands is called Sveti Dorde (Island of Saint George), and it is the only natural island on the Bay of Kotor. 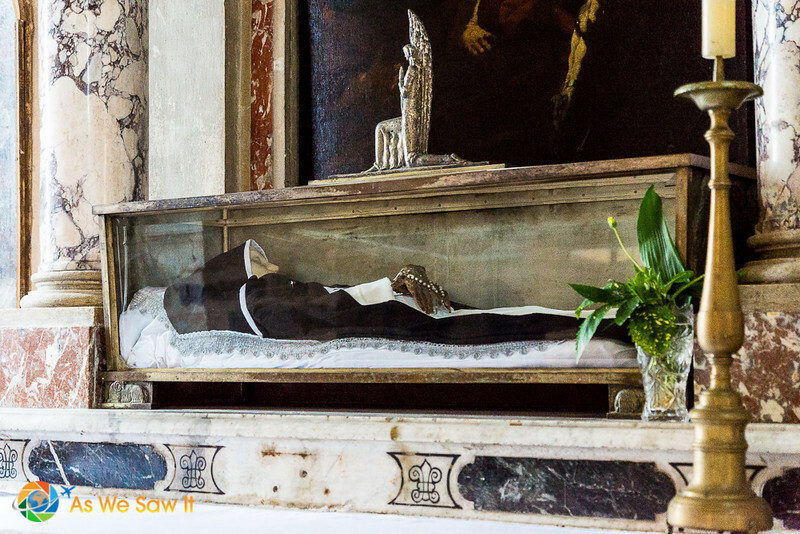 Its most striking features are the Benedictine monastery of Saint George, which dates from the 12th century, a 9th century abbey, and an old graveyard for the old nobility of Perast. Sadly, Sveti Dorde is closed to visitors and you can only see the buildings from the water. As sad as it seems. There is a second island nearby, and this one can be visited. The island is called Our Lady of the Rocks and even though it was man-made ages ago, the scenery made us glad we had decided to pay for the boat ride. The views were beyond incredible. Legend has it that the island began on July 22, 1452, when two sailors passed the Monastery of St. George as they returned from a difficult voyage. As the story goes, they discovered an icon of the Madonna and Child resting on a rock in a shallow area near the island. They considered this a sign that the Almighty had guided them home, and so they pledged an oath to build a church on the spot. After every successful voyage, local sailors and fishermen would lay a rock in this very spot in gratitude for a safe return. This tradition continued down the centuries and eventually the many rocks grew into this islet. As is typical in Catholicism, they built a church on the spot. The custom of throwing rocks into the sea is alive even today. Every year on the sunset of July 22, local residents celebrate an event called fašinada by taking their boats out to the island and dropping rocks overboard. The view from the upstairs ruin was stunning. 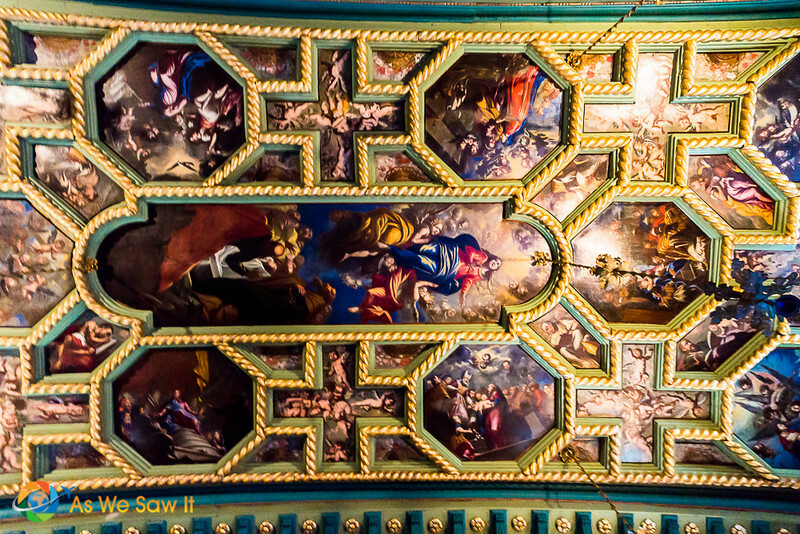 Inside the small Roman Catholic church are many historic paintings that were donated by the area's devout, including a 17th century baroque masterpiece from Perast. The rest of the church is beautiful as well. Back in Kotor, we went in search of the 45 minute walking tour of Kotor. It was supposed to be included with our bus ticket, but we never found the guide. As soon as you walk through its gate, you'll find yourselfl in a world filled with natural beauty, Venetian architecture, and ancient history. Kotor was settled during ancient Roman times (168 BC) and historical sites abound. Two outstanding ones are Cathedral of Saint Tryphon, which was built in 1166, and Kotor's ancient walls. The walls, which stretch for 4.5 km (3 mi) directly above the city, were built for protection by the Republic of Venice. Those Venetians went everywhere along the Adriatic! We get it. Not all of our readers share our fondness for walking around a new town and exploring back streets. 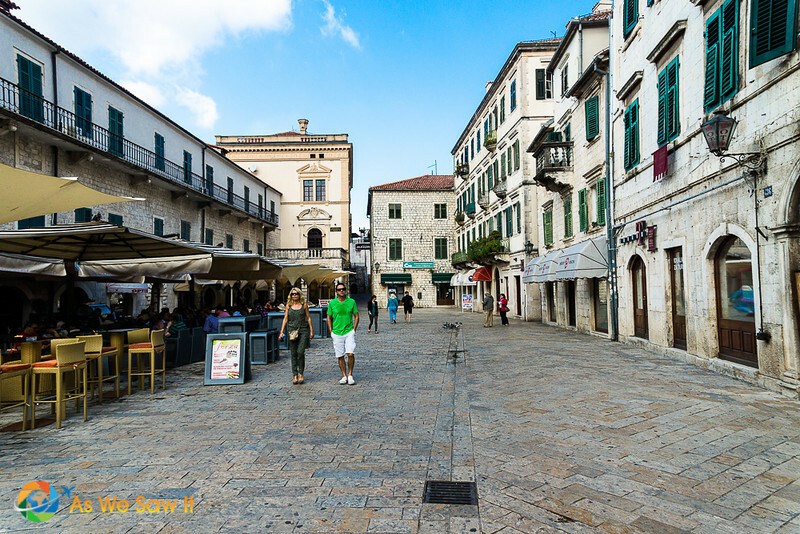 Some people would prefer to have a focused guided tour and spend the remainder of their day in Kotor doing other activities, like shopping or trying the local foods in a series of restaurants. 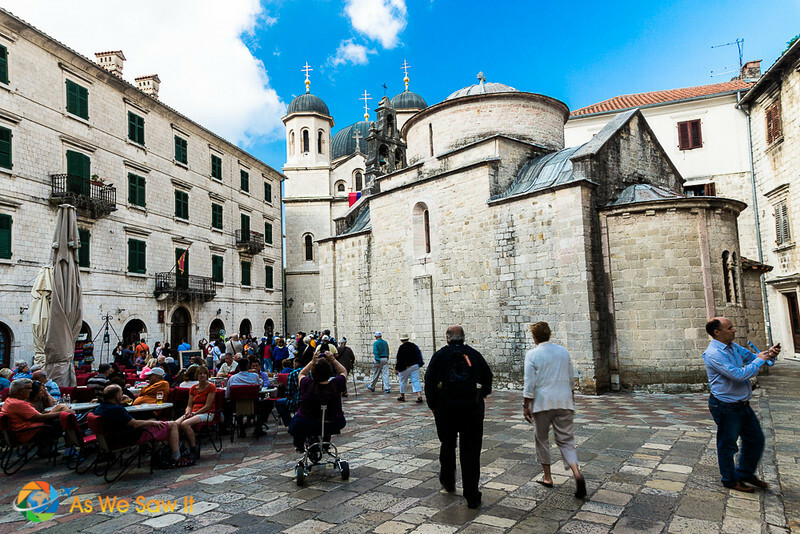 If you have 90 minutes, this Kotor Old Town Walking Tour is quite affordable. 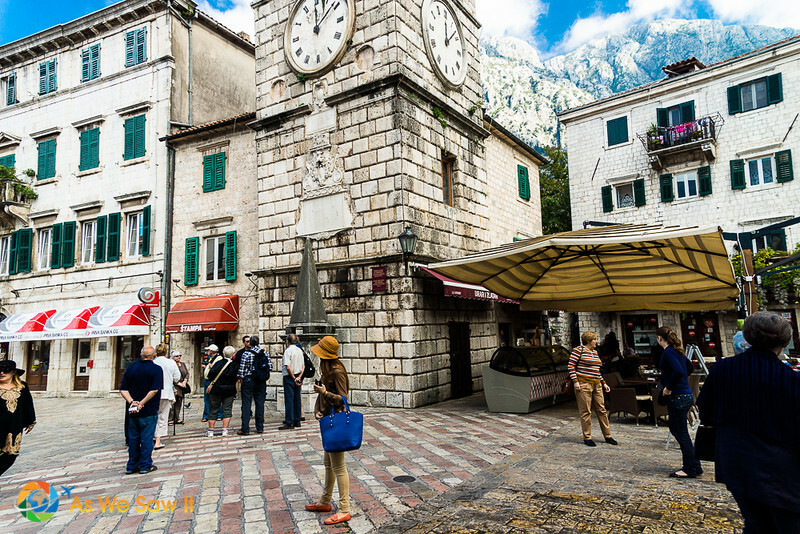 Kotor’s main square, Piazza of the Arms, has a beautiful old stone clock tower and offers a variety of excellent restaurants, cafés and shops that will keep you busy for quite a while. TIP: The less touristed side streets offer better prices, more attentive service and more authentic local dishes. We also discovered a tasting room for a local winery. Most of the world doesn't know that Montenegro produces absolutely amazing local wines at unbelievably low prices. Montenegrin wine is a treasure and we think it's a shame that the world is missing out. Many of Kotor's buildings have its typical arches and balconies. This stands to reason, considering how well preserved the city is—and how long the Venetians were there. If you'd like to see more of the city, we'll link to our photo gallery below. 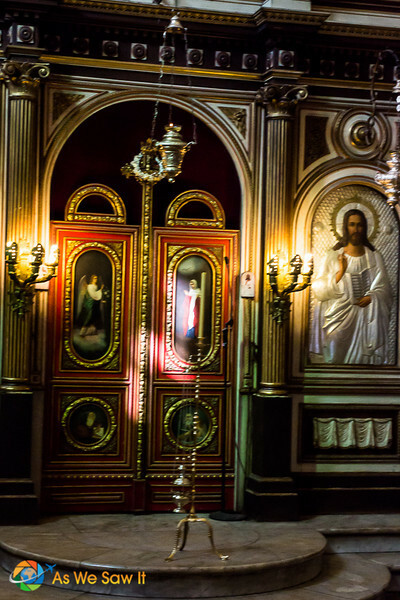 Here are a few photos from churches we visited in Kotor. They are full of beautiful icons. 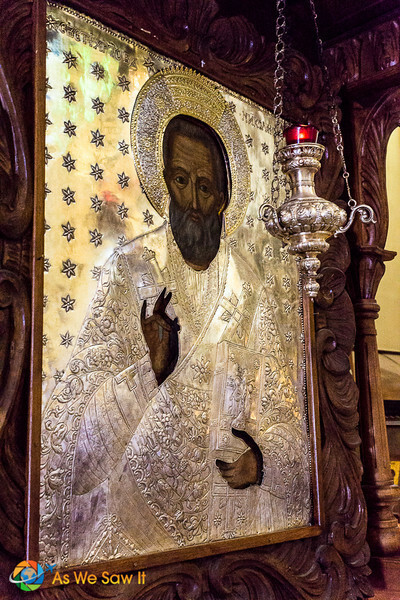 Orthodox Christianity is the dominant form of religion in Montenegro and the artwork is beautiful. 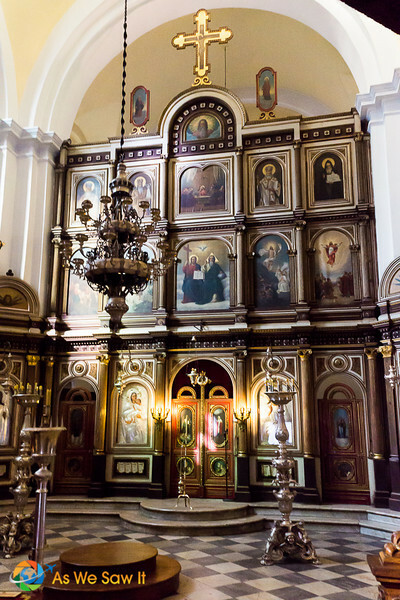 We found it interesting that Orthodox churches do not have pews. As we understand it, the congregants stand during services. Yes, you can fly into Kotor. Thanks to a thoughtful reader, I now know that Kotor's airport code is ZKQ. However, it seems impractical to fly if you are nearby. The roads are well maintained and often hug the coast. It would be worth a drive, just for the views! It's easy to drive to Kotor from Dubrovnik, as they are only 94 km/58 mi apart. Just don't forget to bring your passport! You can easily rent a car and drive to Kotor from Dubrovnik. You can also take a bus, which would allow you to relax and enjoy some beautiful views. Another option is to take a day trip to Kotor from Dubrovnik. Plenty of options are available, like this one. Here are some resources to help you plan your trip. Montenegro has many useful trip planning resources on their website. Lodging – For sleeping options, Tripadvisor and HotelsCombined always offer good deals. Transportation – Rome2Rio shows how to get anywhere by plane, train, bus, ferry and car. If you'd prefer to relax and let someone else worry about the details, our affiliate Get Your Guide offers some excellent day trips and tours all over Montenegro. We can't remember the last time we've seen a one-day tour of an entire COUNTRY. Okay, you can't see everything in one day, but this Great Montenegro Full-Day Tour sure comes close. 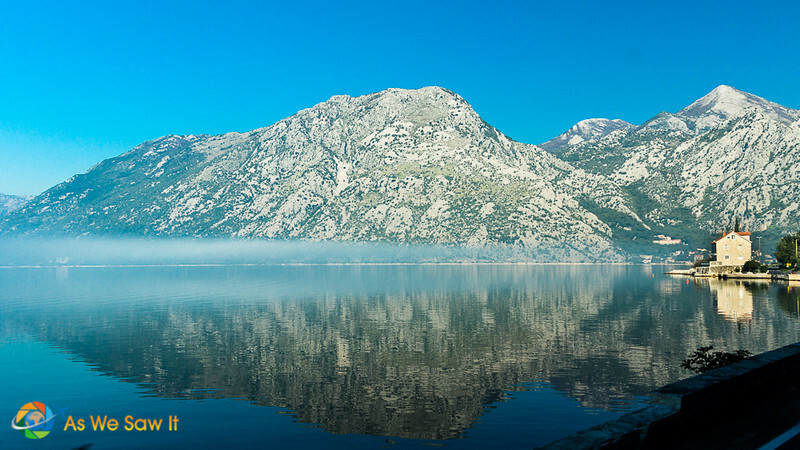 If you've seen Kotor before, this is a wonderful opportunity to visit Montenegro's most popular and beautiful sites. Keep in mind that this tour requires a full 12 hours. If you are in town on a cruise, be sure to ckeck your itinerary carefully. You don't want the ship to sail without you! Want more sightseeing? See our Montenegro photo album..
One Day in Dubrovnik: How Much Can You Really See? Bay of Kotor is really a mesmerizing place. The water ripples and mirror-like reflections of this lake has a unique beauty and well worth a visit. Thanks for sharing. You’re welcome, Emily. We can’t recommend this place enough. Loved this article. Would love to copy your entire itinerary (from Fortress of St. John onwards). Is it doable if our ship arrives at 7am and leaves at 5pm? How reliable is the open tour bus schedule? Did you see any cabs/taxis we can take if we’re running behind? How far is the Fortress’ gate from the port? Would appreciate any help please. Sure, it’s doable, Edelle. However, keep in mind that you can only climb up to the fortress, and it might take a while, depending on your stamina and how many times you stop to take photos. 😉 We understqand it can take a couples of hours, but we didn’t climb up ourselves. We wanted to save our energies for exploring the coastline. Sadly, you can’t take a car up there – if it were possible, we’d have done it too! One thing nobody tells you is that you may not get off the ship right away. If there’s a tinder, they always let people who have booked ship excursions go first. But not to worry, as we had to take a tinder and had plenty of time to explore! As we recall, the open tour bus is pretty reliable. There’s no Uber in Kotor, but taxis are easy to find. Plus, you can negotiate an all-day rate and pay the driver at the end of your day. We did that in Dubrovnik. They are good for transportation but it’s hit-or-miss as to whether your driver can tell you much about the area. We’ve just added a new segment with suggested tours for people who would prefer to relax and let a local show them around. We have had good experiences with Get Your Guide ourselves, which is why we feel comfortable recommending them. Perhaps that option will work for you. We’d love to hear all about your driving holiday – it sounds so exciting! Can’t help but recommend our friends’ Croatia travel blog, called Chasing the Donkey – they have so much useful content for visitors. We thought so, too. Had we not been on a cruise, we’d have spent more time exploring Montenegro. Barb, thank you for your kind comment. It means a lot to us to get feedback. So glad we were able to help you. Kotor is beautiful. We hope you are able to watch as the ship enters the bay; it’s stunning! Italy is our favorite country. It sounds like you are going to have a wonderful trip. Will you visit Ravenna? Few people think to, and that’s a shame. The UNESCO quality mosaics are exquisite! Here’s a link if you’d like to read our story about it. Bonus: It’s not far from San Marino, which is actually a separate country. Is Montenegro worth a week? If not what would you suggest to add? We have been to Croatia twice and Mostar, but have never been to Albania. You’re asking someone who was there for a week, as part of an ocean cruise. But we were considering a one-week stay in Montenegro a few years ago and I believe Montenegro has enough for a week, especially if you enjoy hiking and historical sites. Durmitor National Park is a UNESCO site, and the Tara River Canyon there is the second-largest canyon in the world, after the Grand Canyon. It’s a popular whitewater rafting spot. There’s also the Monastery of Ostrog, impossibly carved into a cliff. Other popular options include swimming in the Blue Cave and the towns of Budva, St. Stefan, and Cetinje. If I were planning an itinerary, I’d begin with a search for “one week tour of Montenegro” and also see what tours are popular on Get Your Guide. Both will give you a good idea of how much you can fit into a day. Can you tell me how far from where the cruise ships dock to the hop on and off buses are? It’s not far, just a few blocks along the waterfront. You buy your tickets in front of Kotor’s main gate and the bus is nearby. You can find more information about Kotor Open Tour here. The Bay of Kotor is one of the loveliest places I have ever visited. 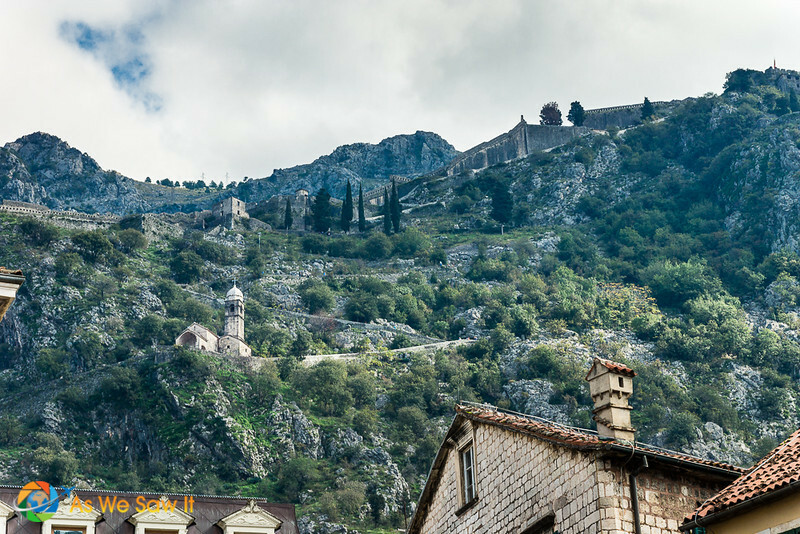 We went on a road trip through the Balkans last spring and Montenegro was part of our itinerary. We spent 3 days there and also visited Budva and Sveti Stefan. We also hiked up the the Fortress of St.John in Kotor, which was pretty tiring but very rewarding. We were pretty lucky with the weather. Although it was early spring, when it usually rains a lot in Europe, we only had a few drops in Kotor. Lovely pictures! Did you like Sveti Stefan, Anda? I’ve heard it’s a high end place to visit. Great post. Thanks. Is all of this doable in 5 to 6 hours please? I’d budget 3 hours for the bus tour and 1.5 to 2 hours in the city. Thanks for letting us know, Boyd! I’ve updated the article to include it. Really appreciate your input. 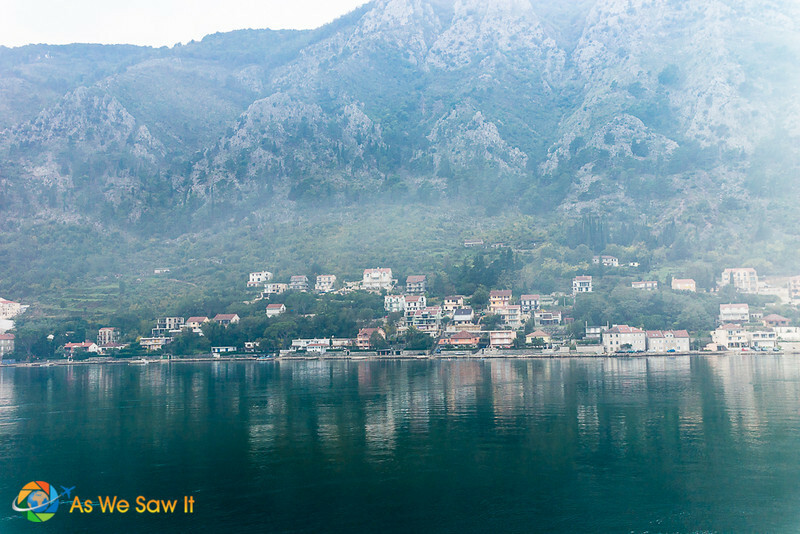 Although Montenegro is quite small, it abounds in beautiful towns and spots. Kotor is amazing, especially the old town, Linda! When in Kotor, I suggest you visit Budva, too. Thanks for the tip, Agness. We intend to see Budva when next we visit Montenegro. We’re glad you like Dan’s Kotor photos. It’s such a pretty place. Had we had more stamina we would have liked to climb up to see it from above…perhaps you’ll come back with photos that will show what we missed. Singapore is one of our favorite destinations. We’ve been there three times so far and never feel we’ve stayed long enough. As it happens, we have just relocated to Kuala Lumpur with the goal of exploring Asia more. Your suggestion of visiting Malacca is an excellent idea. Thanks for the tip. You probably would be able to give us a long list of things to see in Singapore too. For such a small country there’s a lot to do. It’s hard to know where to begin. Thanks for the compliment, Vlad. The camera got a workout, that’s for sure! Can we bring a folding wheelchair on a hop on hop off bus? Hi Bunny, thanks for your question. As far as I know you can, but I’d recommend you email them ahead of time to be sure. If you’re planning to visit Kotor, you can find the list of excursion providers at Montenegro Pulse. We took the Kotor Open Tour bus; they seemed pretty accommodating. HI! What type of camera and lenses were used for these beautiful photos? Hi Crystal, I shoot with a Sony a77 and the Sony DT 16-50mm f2.8 lens. Great package for walking around, but still a but heavy. Looking to move to the Sony a7r II very shortly. Fantastic post. We’re in Split now and will be doing a trip down south in a couple of weeks which will include 3 days in Kotor. Looks absolutely gorgeous. 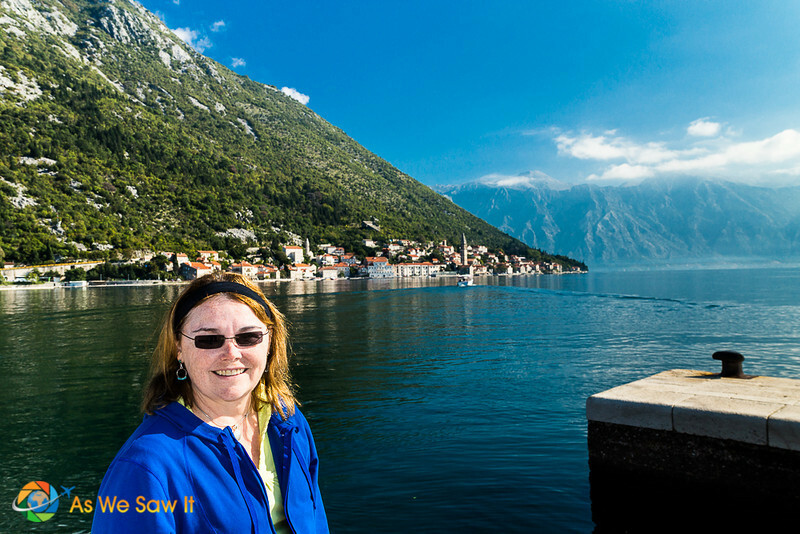 One of the things I guess you didn’t do was the hike up to Kotor Fortress? Its high on my list. But I didn’t know about the hop on, hop off and that sounds like a good recommendation as well. I’m glad it helped you. We did want to hike up to the fortress but decided not to do it. It’s a pretty hefty hike. Our legs weren’t used to that sort of exercise and we feared they would hurt for the rest of our cruise. However, that is high on our list for our next visit. Let us know how it goes, okay? What cruise line did you use? Look all the information and tips you provided. We took a cruise with Holland America. While that itinerary is no longer available, lots of cruise lines stop at Kotor. Take a look at our article 10 Adriatic Cruise Ports You Need to Visit for more nearby cruise stops. I heard Montenegro was beautiful, but after reading your post and seeing this glorious pictures I would say is to die for! It was so close to me when I lived in Romania and couldn’t go visit it. Now I’ll have to cross the Atlantic to go there, but it’s totally worth it. You bring up a good point: So many great things are in our own neighborhoods that we don’t think to visit … until we can’t. Every single photo of your day in Kotor was incredible – every time I saw another Picture I was like “Oh thats my favorite pic” and then another pic would replace my favorite! The view from the window – the one under the words “Finally our guide pointed to the second floor balcony where we got a phenomenal view of the Bay” – OH my gosh, what a view! I’m glad you enjoyed Dan’s photos. As you can tell by the length of the post I had a hard time selecting which ones to use. I’m encouraged; maybe I should do more photo posts like this one. Omigosh, Britt, THANK YOU for your kind words, they really gave me a needed boost. Did you two have a good trip? What was your favorite part?